Is Roof replacement a capital improvement? No secret about it: roof replacements are a significant expense to homeowners and property managers. When we’re on an estimate for a new roof one of the most common questions we get is whether or not this investment counts as a capital improvement. While a homeowner can certainly qualify their new roof replacement as a ‘capital improvement,’ when it comes to the popular buzz phrase on increasing “curb appeal,” it’s a different ball game if we’re talking about how to handle it in your taxes to take the most advantage over the costs paid on the job. Who does this topic most commonly apply to? Owners of commercial or investment properties primarily. Usually those who are able to write off their property as part of a business expense. If this isn’t you, or if you’re unsure, we advise talking with your accountant to see if this kind of write off can apply to you. We aren’t accountants, so the below information is meant as a general guideline and talking points to ask your CPA. Part of understanding when a roof qualifies is understanding the difference between “maintenance” (an expense) and “capital improvement” (a capitalization). Typically when only a part of the roof is replaced, the job is going to trend towards a standard repair expense because you aren’t “improving” your asset (your property), you’re maintaining it’s value. Temporary repair or patch work, or inspections for continuing maintenance also fall into this category. You can check out our recommended top tips for roof maintenance here. What qualifies as a capital expenditure or improvement? Capital expenditures, improvements and the like are all actions that are designed to increase the value of an asset. Usually this means it has to be boosted beyond the original value. 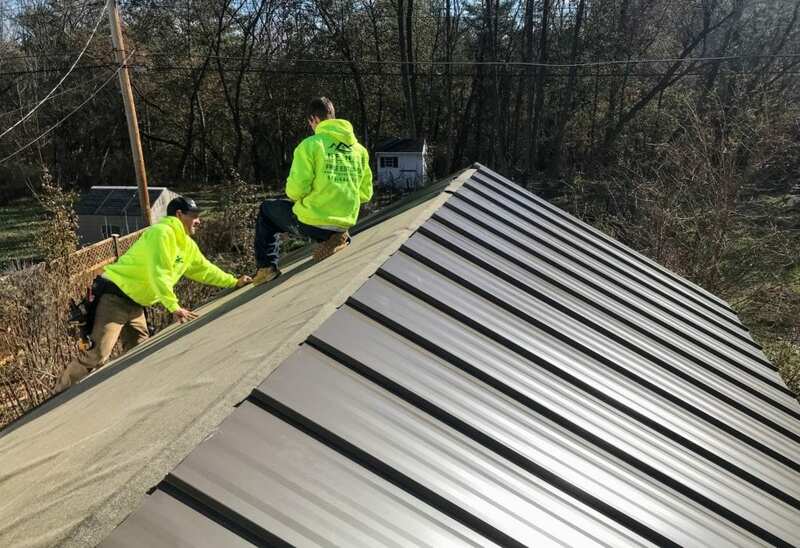 So for example, if you were to replace an entire roof with metal instead of asphalt shingles, you would be increasing the original value, not performing a necessary step to maintain the original value. It’s important to note that repairs can turn into capital improvements. For example: let’s say during the course of repairing a roof leak it becomes discovered that the damage is more extensive than can be simply patched and repaired. In that instance, where more than 50% of the roof has to be replaced, the expense becomes an improvement versus maintenance. The first step is to ask yourself a couple qualifying questions (and to bring these questions and your reasoning for them to your accountant). What you’re doing is applying the “betterment” standard. How can I correctly classify my roofing project as an improvement or repair? Why is your roof being replaced? If a sudden storm came in and damaged the roof and you’re looking to fix the sudden damage, generally this is not making the asset “better” it’s restoring the original value, so this is not going to qualify as a capital improvement if you are going to use the same materials. You can more obviously “improve” the original value by changing grade of materials (for example going to a metal roof instead of a shingle roof or PVC instead of EPDM on the commercial side), but you can also improve on the original value by enhancing the grade of material beyond the original value. A great example of this would be going from standard grade shingles to GAF architectural shingles. 2.) How long has it been between the purchase of the property and when work was done on the roof? In many cases, if you have to do significant work on your roof and it’s been within about two years of you buying the property, the work can qualify as betterment because you’re correcting defects or pre-existing conditions. If it’s been a significant amount of time, e.g. 5+ years since you bought the property, then generally “betterment” won’t apply. 3) What was the roof material before? If you use materials that significantly improve the life span compared to the original roof, then you can generally claim it as betterment. For example, a shift from standard asphalt shingles that last 20 years to slate tiles that last 50+ years is a betterment because you’ve increased the quality of the building. A subset of this question is: did you use better or “improved” materials because the original material wasn’t available anymore or technology has been enhanced? For example, if you had a BUR roof (built up roof) and replaced it with EPDM, this doesn’t necessarily mean a betterment because it’s not practical to use the BUR style these days. Additionally, if the original roofing material performs worse than the standard set by the industry for the building type, it’s not going to be a betterment. 4) Did you get the roofing job done because the building was expanded (e.g. additions)? 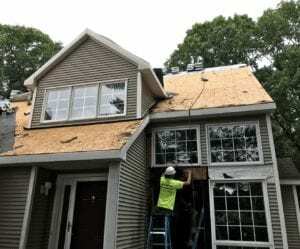 If this is your situation, then yes the part of the roof as part of the addition qualifies as a capitalization, and this may extend to the rest of the roof replacement work depending on the questions above.